Abigail Wren’s life fresh out of college is dull, even with her (almost) dream job at the local newspaper. The only real excitement she can get is found between the pages of an endless stream of paranormal romance novels she can’t help but love. Then, on a snowy night in December, Abigail catches a glimpse of what could only be described as a werewolf. Enamored with the possibility, her investigation leads her to discover a paranormal population—improbables—living harmoniously in the midst of humanity. Between making eyes at a perpetually grumpy werewolf and hanging out with a vampire with a lust for life (and liquor), Abigail’s life takes a shaky step out of the ordinary and into the fantastic. What if you’re not an indie kid, fighting zombies or whatever this new thing is with the blue lights and the death? What if you’re like Mikey? Who just wants to graduate before someone blows up the high school. Again. Sometimes you just have to discover how even an ordinary life can be extraordinary. I think this is an appropriate time to do a book review on The Rest of Us Just Live Here! The main highlight of this novel is the fact that it looks at the lives of people who are not the chosen ones – it is brilliant to see how different people have different experiences all at the same time. While the chosen ones were out saving the world from The Immortals, the rest of the world is clueless about what’s happening (apart from teenagers). Overall, I think it’s a brilliant book in the sense that it shows us the other side of the story – how not everyone gets to live the life of a chosen one. How everything may be going wrong for the ‘main protagonists’ in this case the indie kids – the rest of the world just keeps on going like it normally does. But this story also higlights the different experiences of different groups of people – it shows you teenage problems that are relatable, about your identity as an individual, sexuality and even mental health issues and how it can affect you relationship with those around you. I also liked how the book also included in every chapter what was going on with the chosen ones, and how their decisions affect the wider society and not just themselves. There are a lot of things that I really liked about this novel, and I couldn’t recommend it enough! FOR IINDIVIDUALS WHO ARE INTERESTED IN WINNING A SIGNED COPY OF “The Rest of Us Just Live Here” THEN THIS IS YOU LAST CHANCE TO ENTER THE GIVEAWAY! FOLLOW THIS LINK: Giveaway – to enter! 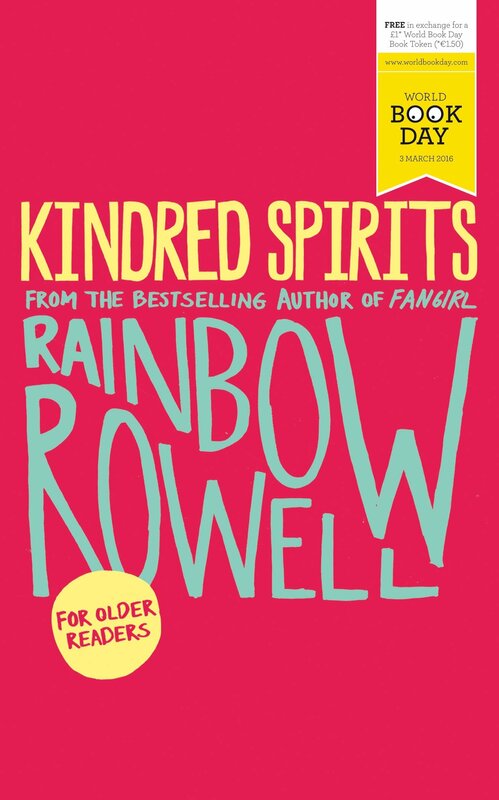 This short story by Rainbow Rowell is definitely a page turner and I WANT MORE!